The ARIA Fine Art Collection features work by acclaimed painters, sculptors and installation artists, including Maya Lin, Jenny Holzer, Nancy Rubins, Claes Oldenburg and Coosje van Bruggen, Frank Stella, Henry Moore, James Turrell and Richard Long, among others. 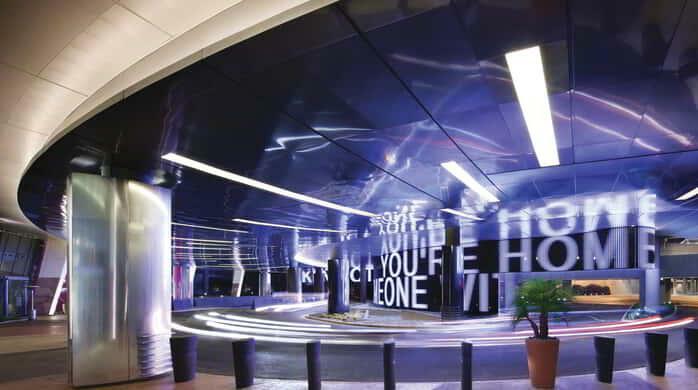 The ARIA Fine Art Collection encompasses a multitude of styles and media—ranging from sculptures and paintings to large-scale installations—engaging visitors on a visual and intellectual level. Some were existing pieces, carefully chosen for their artistic value and cultural significance; others are site-specific installations for which the artist commanded their vision over the space. Located all around the ARIA Campus including: ARIA Resort & Casino, Vdara Hotel & Spa, The Shops at Crystals, and Veer Towers. Explore a large-scale public artwork by world-renowned artist Ugo Rondinone. Taking nearly five years to complete, the original installation is presented by the Art Production Fund and Nevada Museum of Art and is sponsored by ARIA. The art is comprised of seven individual towering sculptures, made of locally sourced limestone boulders stacked vertically in groups. This colorful, eye-popping art installation is not only artistic, but also sustainable through its use of natural materials, all of which ARIA is proud to support in its local community. 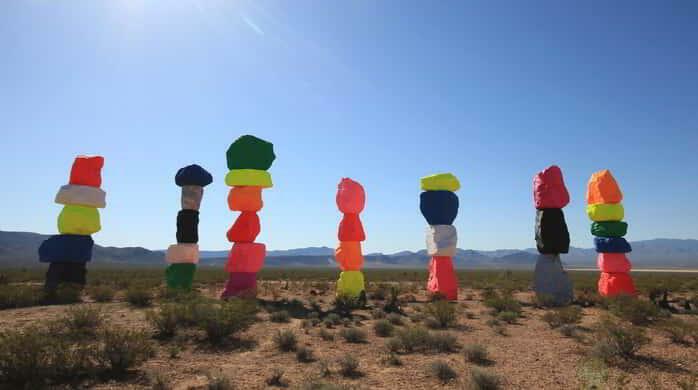 Located approximately 10 miles south of the intersection of Las Vegas Boulevard and St. Rose Parkway, the installation is a short distance from Jean Dry Lake.